At times you may want to include current date & time in an excel sheet. How do you do that automatically? This formula will only update when the worksheet is recalculated or when you reopen the workbook. That’s usually not a problem since the date only changes once a day. 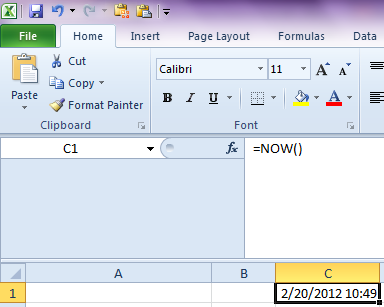 Also, you may have to format the cell to give you your desired date format. 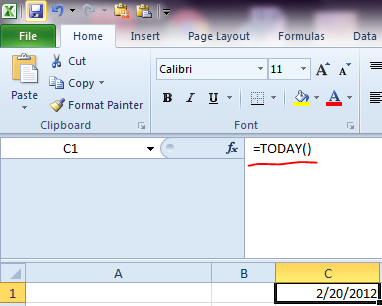 This entry was posted in Tips & Tricks and tagged Calendar date, Cell, Microsoft Excel, Worksheet. Bookmark the permalink.